For the U.S. Marine Corps installation in San Diego, California, assigned the ICAO code KNKX, see Marine Corps Air Station Miramar. KNKX (88.5 MHz) is a public radio station in Tacoma, Washington. A member of National Public Radio, it airs a jazz and news format for the Seattle metropolitan area. The station is owned by Friends of 88.5 FM, a community-based non-profit group. KNKX was established in 1966 as KPLU-FM by Pacific Lutheran University (PLU) before becoming an independent, community-owned station in 2016. It is one of three full NPR member stations in the Seattle area, the others being KUOW-FM and KVTI, an outlet of Northwest Public Radio (though KVTI only provides grade B coverage of Seattle and can't be heard at all in most of Snohomish County because of interference from KSER). KNKX broadcasts from West Tiger Mountain in the Issaquah Alps with a power of 68,000 watts. Its main studio is located on Park Avenue South in Tacoma, with a satellite studio on Fourth Avenue in Seattle. KNKX runs jazz programs middays, evenings and overnight, and carries a variety of NPR programs in other dayparts, including All Things Considered, Morning Edition, Wait Wait... Don't Tell Me! and Fresh Air. The locally produced BirdNote airs every morning. Those who listen online or using an HD radio can choose either the regular station feed, or listen to "Jazz24," a 24/7 free online jazz station. The station was founded on November 16, 1966 as KPLU-FM. It was primarily run by university students and played jazz, blues and other music not usually heard on commercial radio stations. Originally, it broadcast from a tower on campus that was only 140 feet tall, effectively limiting its coverage area to Tacoma and adjacent suburbs. Over time, the station added news programs from NPR to its schedule. It improved its coverage area, both by increasing its power and relocating to a tower that is 2320 feet (707 meters) Height Above Average Terrain, giving it a coverage area roughly comparable to that of KUOW. for listeners outside the Tacoma-Seattle area, it set up eight translators and simulcast stations. On November 12, 2015, Pacific Lutheran University announced its intention to sell the station to the University of Washington, owner of KUOW. The planned sale to UW triggered "public outcry" from KPLU's listener base, who feared KPLU's unique programming would be sacrificed if it became a sister station to KUOW. On November 23, the KPLU advisory board voted unanimously to oppose the sale. The board sought to negotiate with a community-based non-profit group, Friends of 88.5, to raise $7,000,000 to buy the radio station and its network of translators and rebroadcasters from the university, keeping it independent. By May 26, 2016, some 17,000 supporters met the goal. Friends of 88.5 began negotiating with PLU to purchase the station. 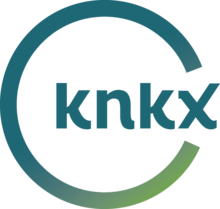 On August 12, 2016, it was announced that the station would adopt the new call letters KNKX. The new call sign went into effect when the station officially changed hands from PLU to Friends of 88.5 on August 30, 2016. The headquarters of KNKX are planned to be moved from the PLU campus to Downtown Tacoma in 2019. The West Seattle translator serves portions of Seattle that are shielded by hilly terrain from the main KNKX signal. ^ Falk, Tyler (May 9, 2016). "Future of KPLU's popular jazz stream hinges on fundraising campaign". Current. Retrieved August 31, 2016. ^ "Radio KPLU To Begin Broadcasting". Morning Mast. XLIV (7). Pacific Lutheran University. November 11, 1966. p. 1. Retrieved August 31, 2016. ^ KUOW Staff. "PLU Says It Intends To Sell KPLU 88.5 FM To KUOW Public Radio". KUOW. Retrieved November 12, 2015. ^ Kiley, Brendan (November 23, 2015). "'A kick in the teeth': KPLU advisory board opposes sale to KUOW". The Seattle Times. Retrieved November 24, 2015. ^ a b "Supporters of Tacoma-based KPLU reach $7 million mark in bid to buy station". The Olympian. Retrieved June 8, 2016. ^ Connelly, Joel (August 12, 2016). "Listener-rescued KPLU public radio dons new call letters—KNKX". Seattle Post-Intelligencer. Retrieved August 31, 2016. ^ Kiley, Brendan (August 31, 2016). "KPLU officially begins broadcasting as KNKX". The Seattle Times. Retrieved August 31, 2016. ^ Sailor, Craig (October 6, 2018). "Public radio station KNKX announces move to downtown Tacoma". The News Tribune. Retrieved March 23, 2019.